All set for Christmas Eve! 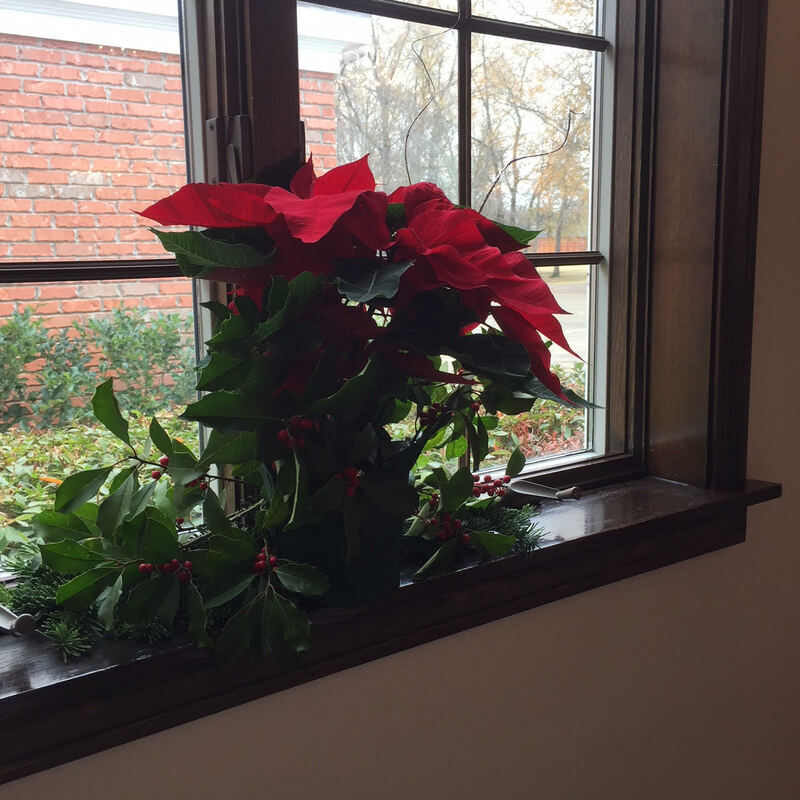 Tomorrow morning is The Fourth Sunday of Advent, but we had to decide when to decorate for Christmas Eve! The link to the online registration for Happening #56 is Happening #56 Registration. 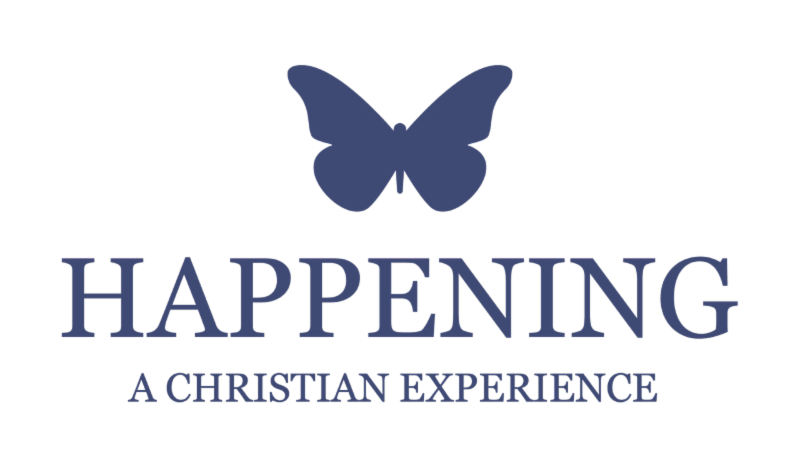 Happening is a Christian experience presented by teenagers for teenagers with the help of clergy and lay adult leadership. During the Happening retreat, there are activities designed for spiritual enrichment, fun, and Christian community building among participants. For youth in grades 9-12 who have not already attended Happening. Register by December 28 to order a t-shirt; registration closes January 7. 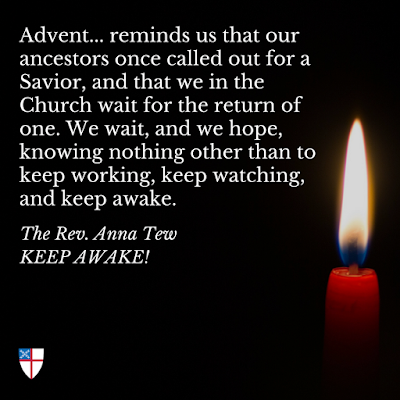 The Fourth Sunday of Advent is Christmas Eve! Tomorrow is the start of a new church year - resolve to be there! Join us this Sunday for the First Sunday of Advent, and the start of a new church year! 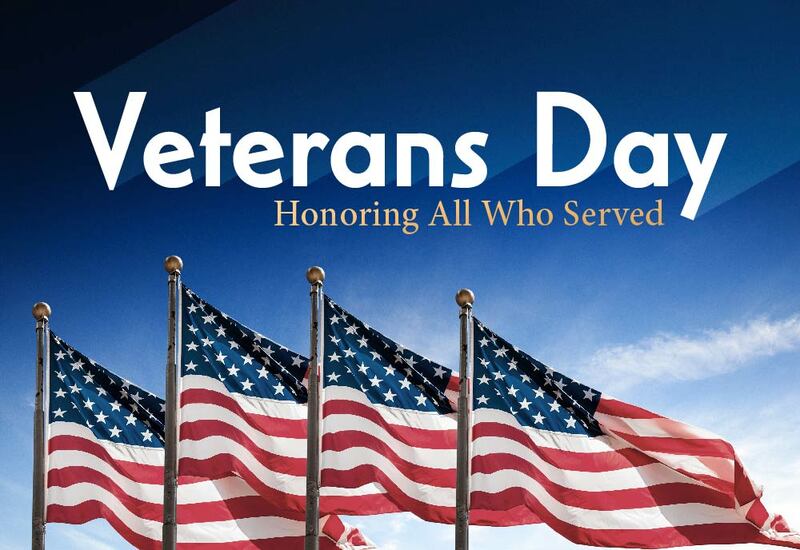 Thankful for all of you today! 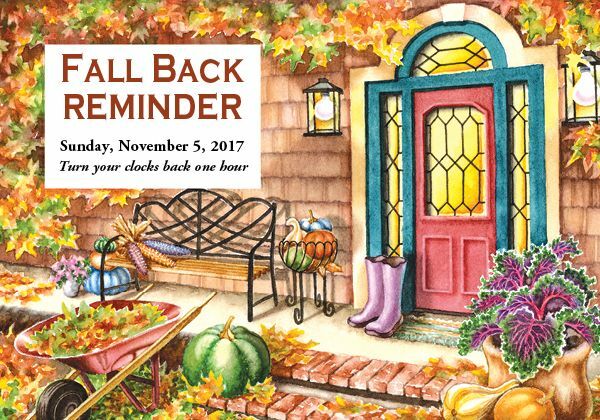 Enjoy family, friends, food, and rest! See you all on Sunday for the last day of the church year as we celebrate Christ the King! 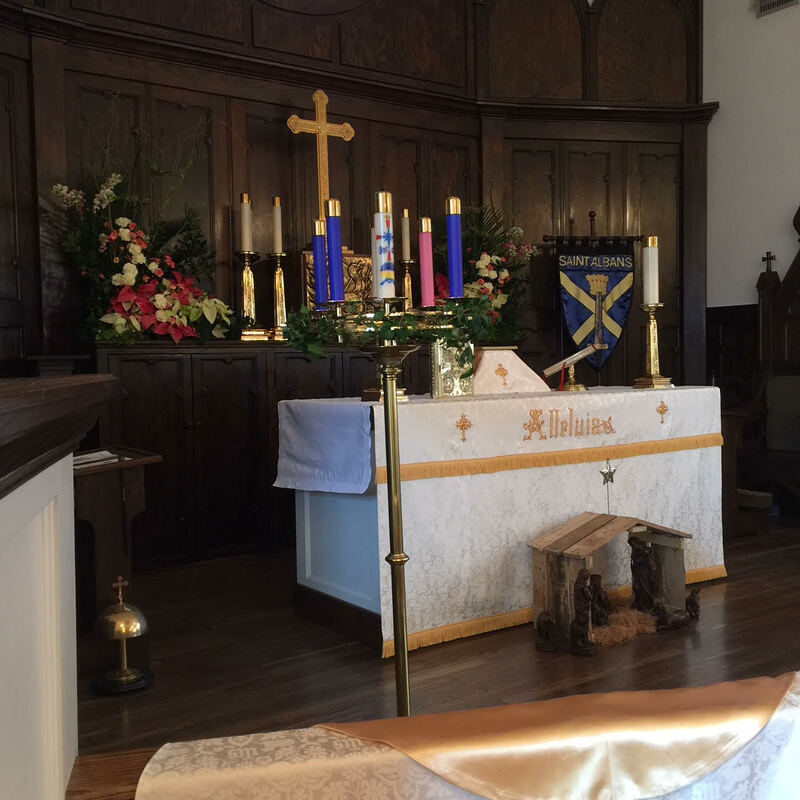 St. Alban’s has four Advent Listening Sessions planned. We will meet at the church and all are welcome! Come to one or to all of the sessions. · Tuesday, December 5 at 6:00 p.m. – 7:30 p.m.
· Thursday, December 7 at 6:00 p.m. – 7:30 p.m.
· Thursday, December 14 at 6:30 p.m. – 7:30 p.m.
You may comment publicly or anonymously (on a form we will provide). 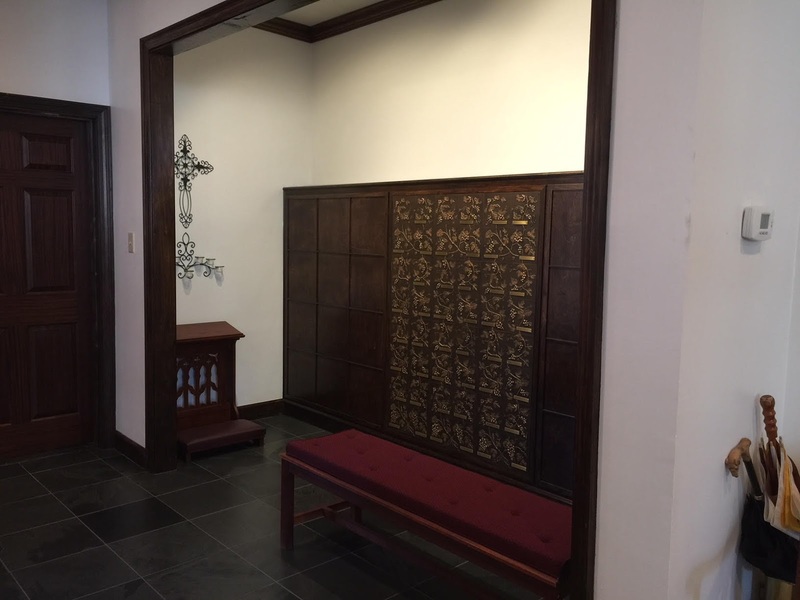 Purpose: To grow God’s Kingdom in our place, St. Alban’s must reach-out to our neighbors, and reach-in to our members. Worship and Community are where we come together to be fed and formed for our mission! We must do all these things to the best of our abilities, and well. 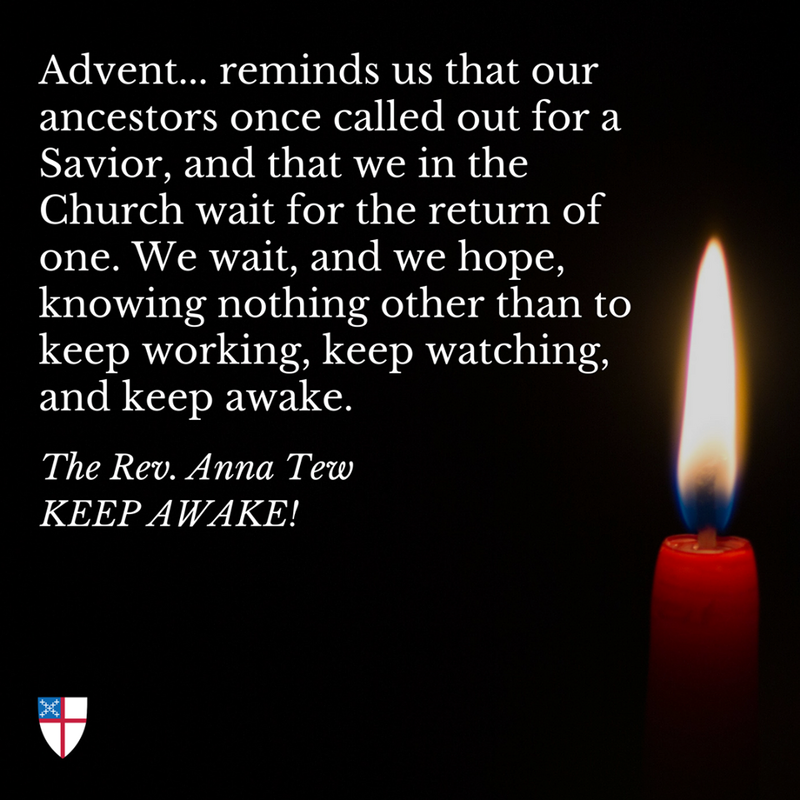 In our Advent Listening Sessions, together we will listen to God’s call. Help us think about, and clarify what in our community, neighborhood, and church needs to be allowed to die (remembering we believe in life after death - resurrection), be watered or fertilized (pruned), or be planted. Our discussions will be facilitated by Edwin Adams, recorded, and welcome to all. 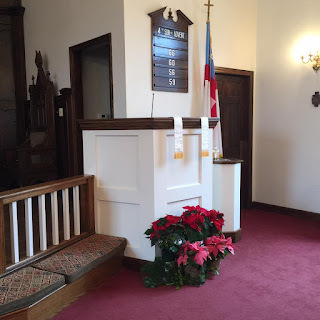 Vestry members will join us, and your comment may be public or confidential. Mark your calendars. Start praying, and dreaming now! 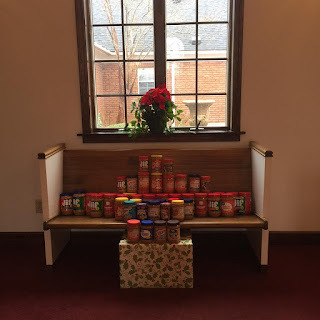 St. Alban's Advent / Christmas Project for this year is the "Spread the Love" Peanut Butter Drive. Peanut butter is fun and nutritious! Peanut butter is an excellent source of protein and serves as a great substitution or alternative to meat products because it is much less expensive, it is filling, and it contains fiber. Finally, peanut butter is jam-packed with nutrients like phosphorus, potassium, zinc, folate, and the antioxidant vitamin E and is easy to keep and store. Peanut butter is a popular food bank item and is always in high demand! We will collect jars of peanut butter - any size or brand - from Advent 2017 - Epiphany 2018 and all our collections will go to the Foodbank of NELA. Please be generous and help us "Spread the Love!" The EfM group spent the morning with Habitat for Humanity today.What a crew! Jesus said, "Let the little children come to me..." Adults are welcome too! 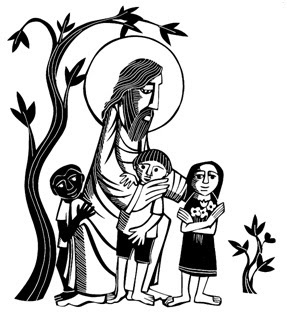 See you every Sunday at church for Holy Eucharist at 8:30 a.m. and 10:30 a.m.
Jesús dijo: "Dejen que los niños vengan a mí ..." ¡Los adultos también son bienvenidos! Nos vemos el domingo en la iglesia - Santa Eucaristía a las 5:00 p.m.
Bishop Jake Owensby's new book is now available for pre-order! Our beautiful columbarium. For more information, please contact the church. Presiding Bishop and Primate Michael B. Curry and the primates of the Anglican Communion prayed to honor the victims of the shooting in Las Vegas, Nevada. More than 50 people were killed and more than 500 were injured in a shooting on the Las Vegas Strip on Sunday evening, marking the worst mass shooting on American soil. The primates have gathered at Canterbury Cathedral for their Oct. 2-6 meeting. The following is a statement from the primates of the Anglican Communion to Bishop Dan Edwards of the Diocese of Nevada. We were greatly distressed to learn of the dreadful events in Las Vegas last night. The scale of the loss of life and the numbers of injured is truly shocking. We are sending our deepest condolences to you and to the people of your diocese – in particular, the people of Las Vegas. We are praying for the families and friends of those who have died and for the many people who have been wounded. We remember, too, everyone else caught up in this tragedy – including the emergency services (first responders). We pray that the peace of the Lord Jesus Christ will be with the people of Las Vegas as they endure this trauma. 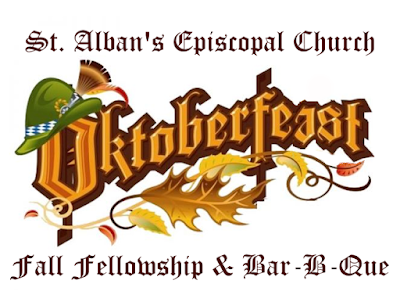 Oktoberfeast Fall Fellowship & Bar-B-Que is this Sunday, October 1. We will celebrate Holy Eucharist at 8:30 a.m. as usual, but at 10:30 a.m., our Eucharist will be bilingual and Iglesia Episcopal La Esperanza de Familias Unidas will join us for communion in church and fellowship in McLean! Hope to see you there! 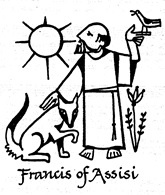 On Wednesday, October 4, 2017, at 5:30 p.m., we will bless the animals of St. Alban’s and Iglesia Episcopal La Esperanza de Familias Unidas. This follows the Church’s remembrance of Francis. Bendición de los Animales El miércoles 4 octubre 2017, a las 5:30 p.m., bendeciremos a los animales de St. Alban's Iglesia y Iglesia Episcopal La Esperanza de Familias Unidas. Esto sigue el recuerdo de la Iglesia de Francisco. Join us this Sunday, October 1, 2017, following our 10:30 a.m. Holy Eucharist for Oktoberfeast Fall Fellowship & Bar-B-Que. John will provide the ribs and meat and we will bring the rest! There's nothing like the smell of fall leaves and smoky Bar-B-Que! Our prayers and sympathy are offered for Jim and Louise Bradford and their daughter, Sharron, upon the news of the death of their son-in-law, Wayne Robbins. More information will be posted as the details are finalized. May Wayne's soul and the souls of all the faithful departed, through the mercy of God, rest in peace. Amen. All are invited! 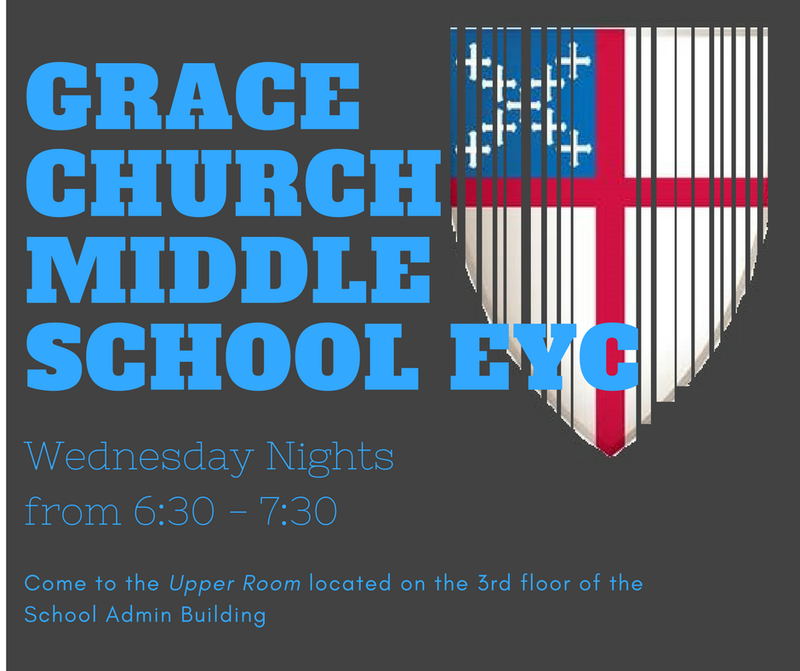 Calling all middle schoolers! 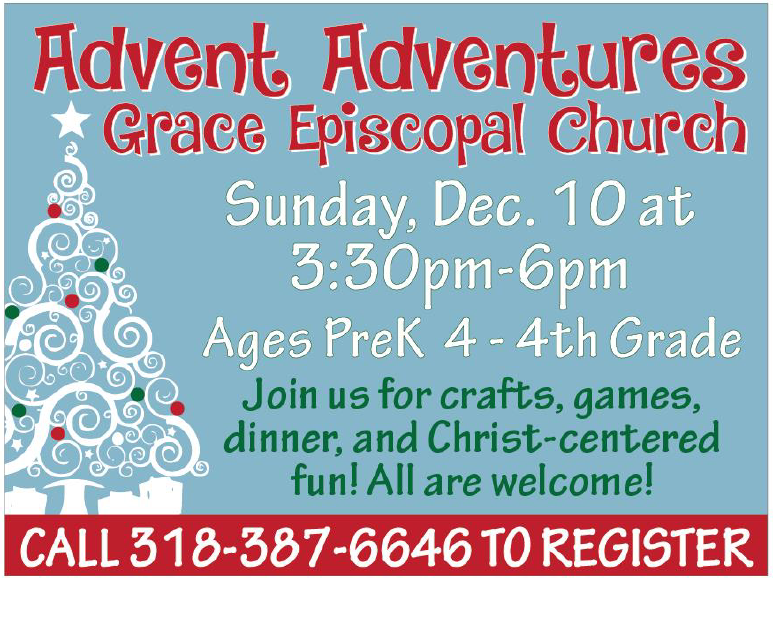 Bring a friend and join the fun! The original Kneeling Needler and Sunshine Crafter, Dottie Johnson is at it again! 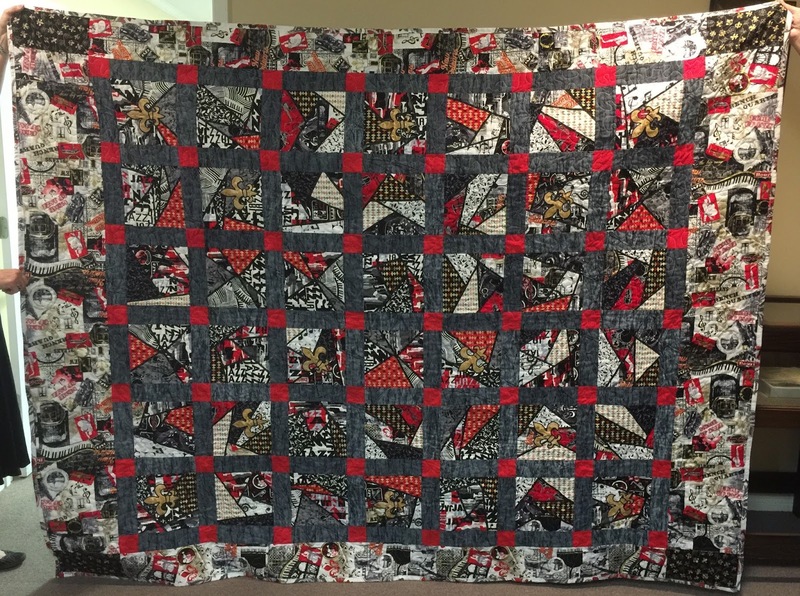 This time, she has created a quilt for the church to raffle to raise money for the repairs to McLean Hall. 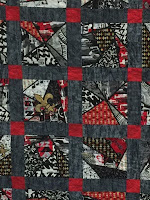 The beautiful quilt is called "All That Jazz" and is in a stack the deck pattern (for those in the know). Tickets will be $5 a chance and we will sell no more than 500. If we sell them all, that is $2,500 for the cause! Wow! Our drawing for a winner will be held on December 10, 2017 - just in time to be wrapped as a Christmas gift or decorating your own home. 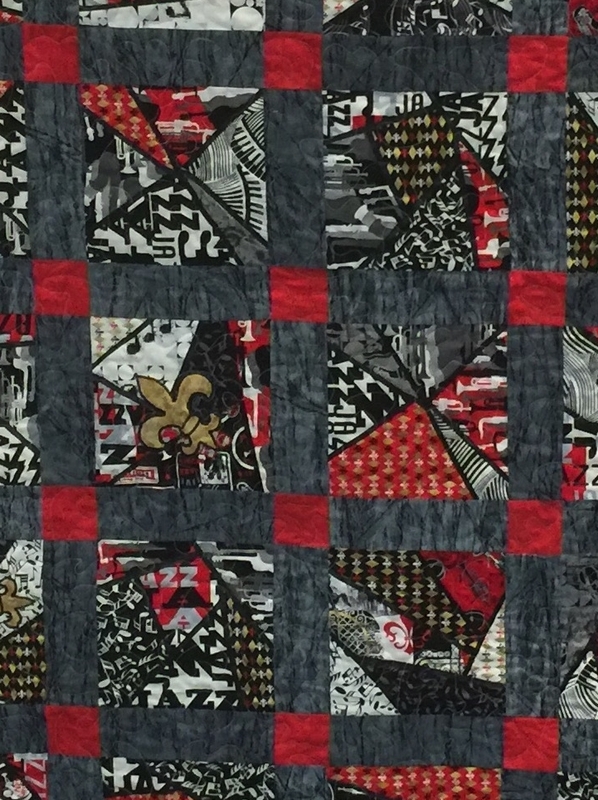 Tickets will be available soon and the beautiful quilt will be on display in McLean Hall. 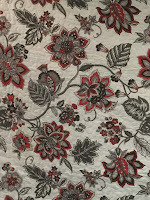 Please support this project and say thanks to Dottie when you see her! "The Joy of Living: Action is the Key Word" is a three-day retreat presented by the Bishop's Commission on Addiction and Recovery. 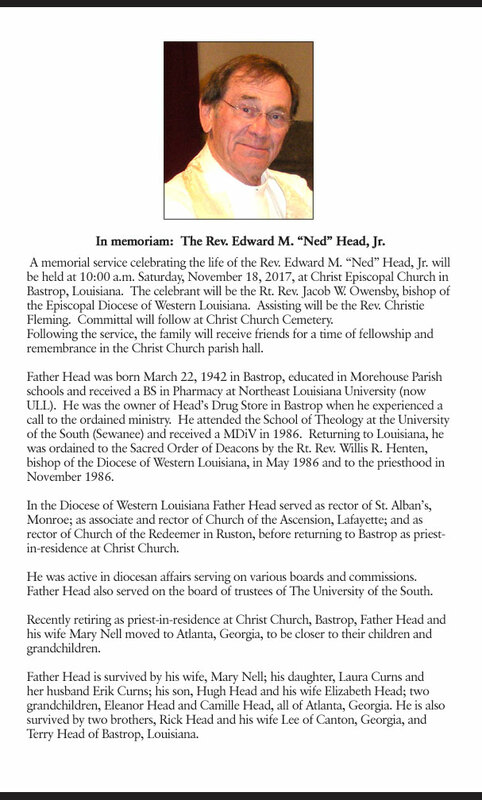 Retreat leader is John McAndrew, M.A., M.Div. 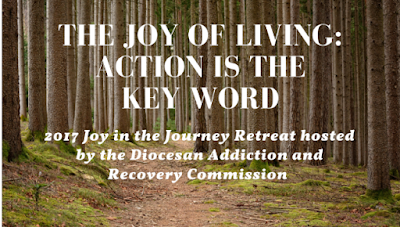 The joy of living is the theme of AA’s 12th Step, and action is its key word. We’ll consider how we practice these principles in all our affairs in the company of other men and women who have embraced this way of life. How do the 12 Steps work? How can I better practice my program in my relationships? 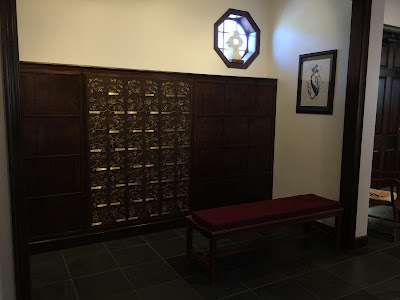 How do I enlarge my spiritual life? This weekend is designed for people who are seeking deeper engagement with their spiritual lives, partners, spouses and friends: men, women, couples, singles--all seekers and 12 and 12 Fellowships welcome! Plan to arrive at Camp Hardtner between 3:00 p.m. and 5:00 p.m. for check-in and room assignments. The program begins at 7:00 p.m. No dinner will be served on Friday, but heavy hors d'oeuvres will be available. 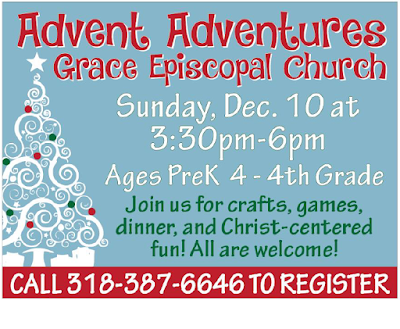 Mark your calendars and let's join our friends at St. Thomas' for food, fun, and fellowship! This Labor Day, weekend - we will do what we always do. Pray! 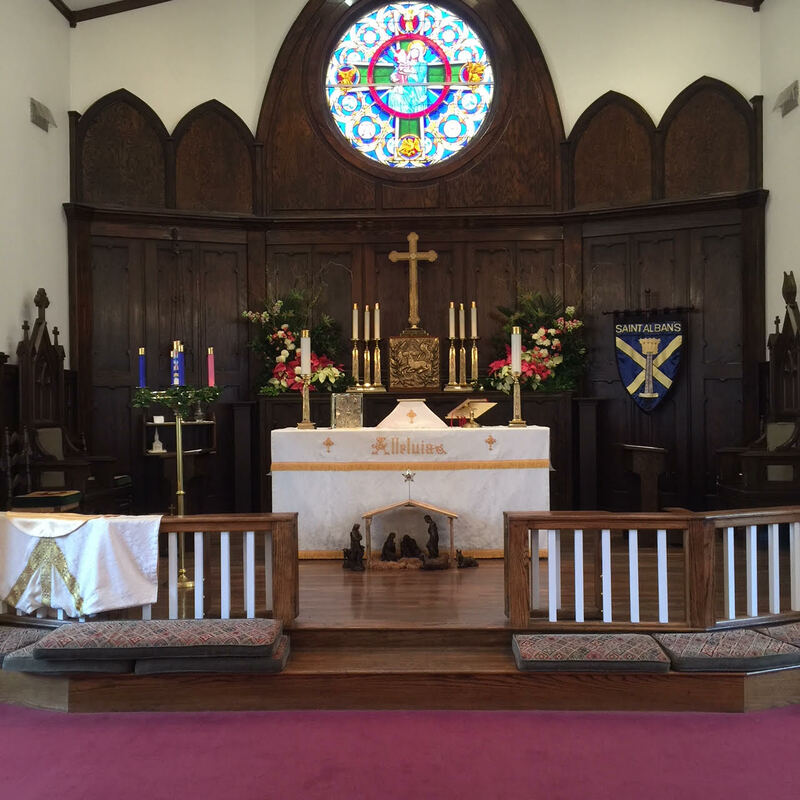 Join us for Holy Eucharist at 8:30 a.m, 10:30 a.m. (La Santa Eucaristía – 5:00 p.m.) This year we will pray especially for Hurricane Harvey victims and rescuers. A reminder that the church office will be closed on Monday. Episcopal Relief and Development's Harvey Fund - Click here. Our hearts have been rent by the images and stories of Hurricane Harvey's destruction in Texas. Many in our Diocese fear for family and friends in the storm's path. 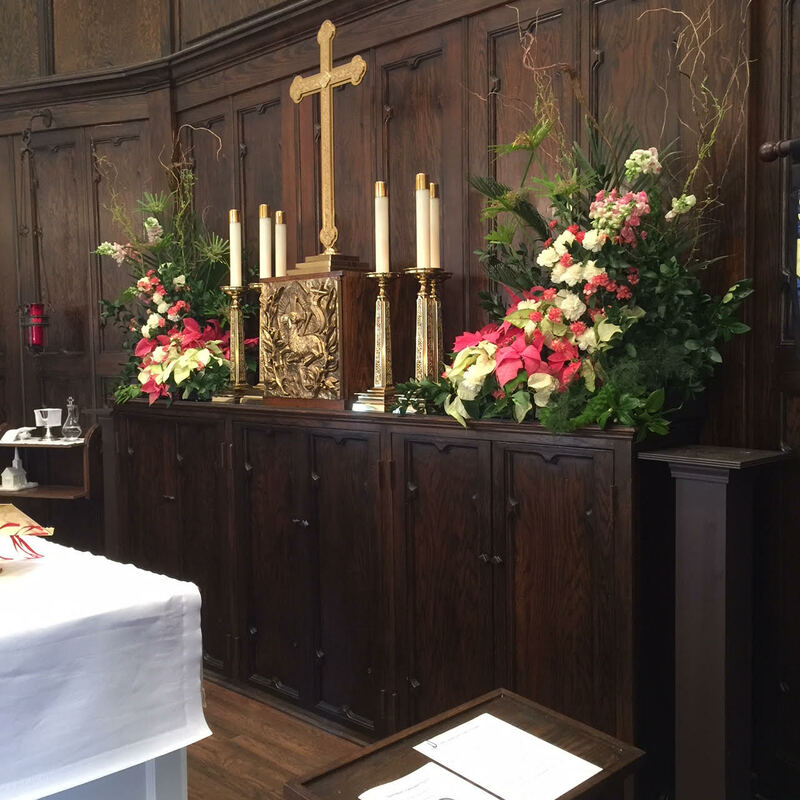 Responses from our congregations have been swift and generous, whether through Episcopal Relief and Development or other services. Now Harvey has turned toward Louisiana. 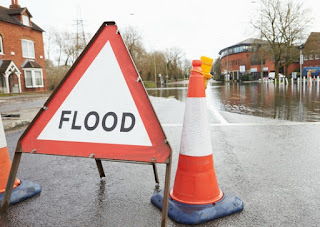 Schools and offices have been closed in several of our parishes. Floodwaters are encroaching on some homes and businesses in the south and west. We wait together not only to see what this storm brings but also to discern how to be most helpful to those in need. 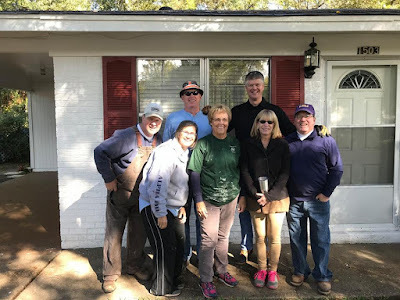 Our Disaster Relief Coordinator Deacon Lois Maberry has been hard at work for days preparing and coordinating responses and providing resources. I have been communicating with clergy in charge of our congregations to stay informed about all of you. You are in my prayers for safety. 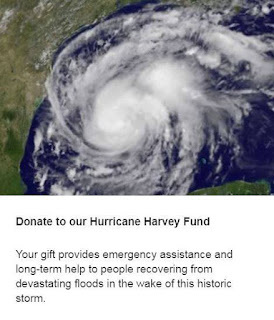 Together we will get through this and bring aid to those in need. We have received notes and phone calls of support from around the Church. The Presiding Bishop, my fellow bishops, and fellow Episcopalians around the country are praying for us and offering their support. I'm sure you share my gratitude. 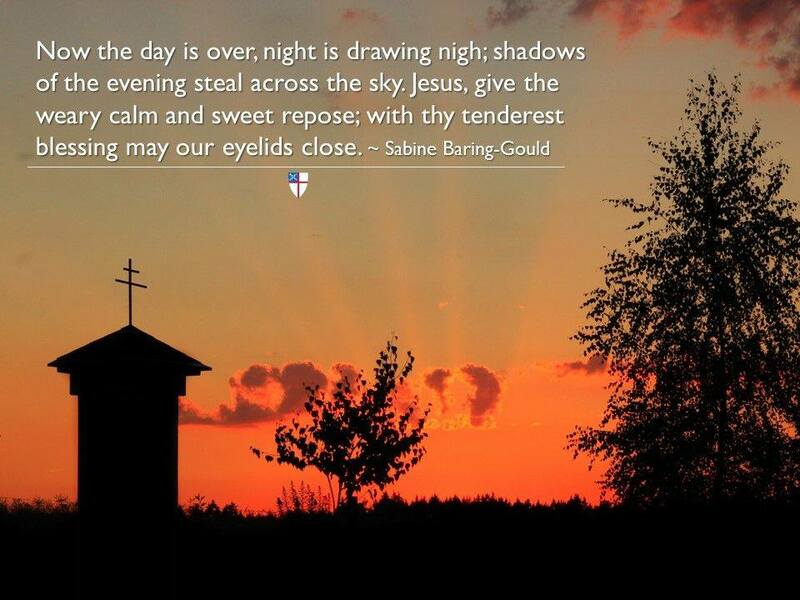 May our holy and gracious God guide, guard, and comfort us through this storm. 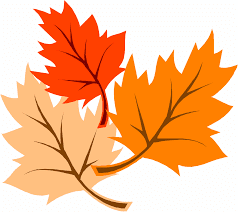 And may our common hope sustain us in the weeks ahead as we begin the work of recovery. More Camp Able 2017 at Camp Hardtner - A life changing experience!